Looking for somewhere nice to pitch your tent? 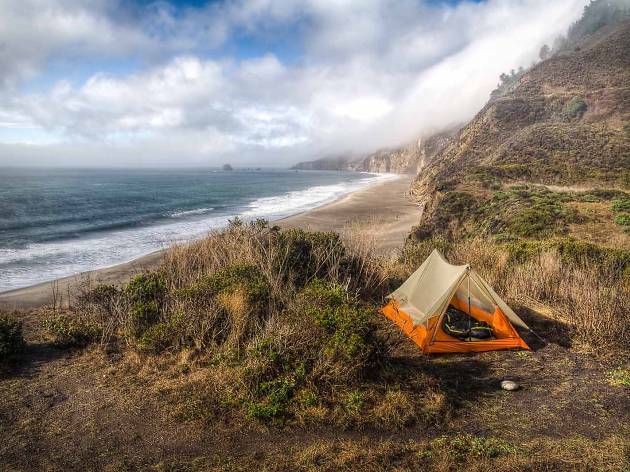 There are plenty of picturesque spots to go camping in San Francisco and beyond. 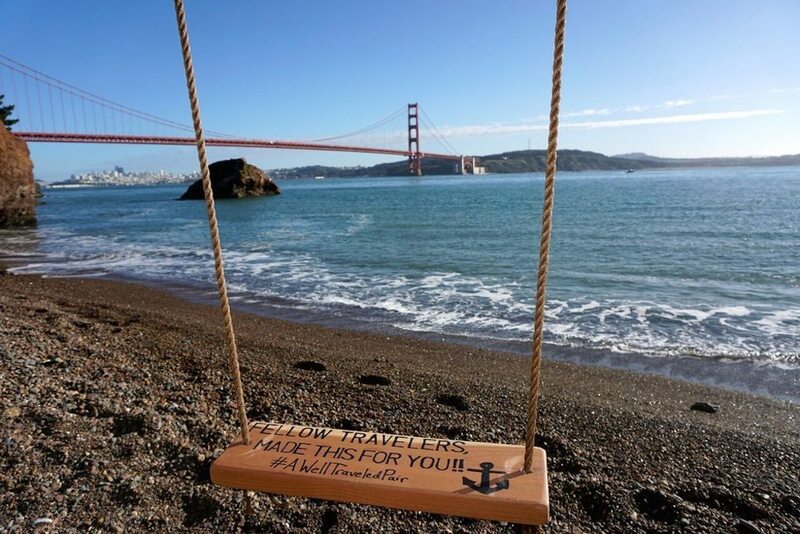 One of the many privileges of living in San Francisco is immediate access to nature: a walk, a bike ride, a short drive, or a ferry trip away. There’s a slew of pristine spots a stone’s throw from the city where you can unplug and escape into the wilderness. 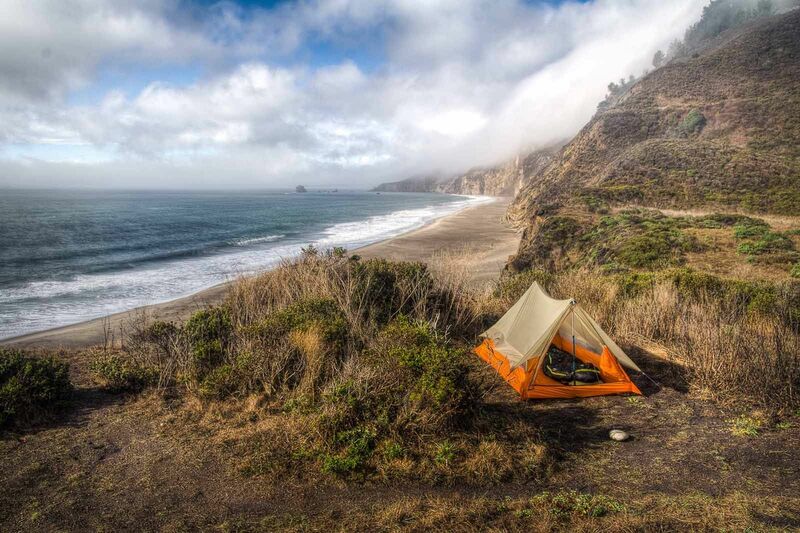 Whether you’re seeking towering redwood groves, a secret beach cove, bird-flooded marshes, or a scenic ridge with stunning views, these are the best campsites in San Francisco and around the Bay Area. At Kirby Cove, you don’t have to trek miles into the woods to find a peaceful preserve; you just have to cross the bridge. 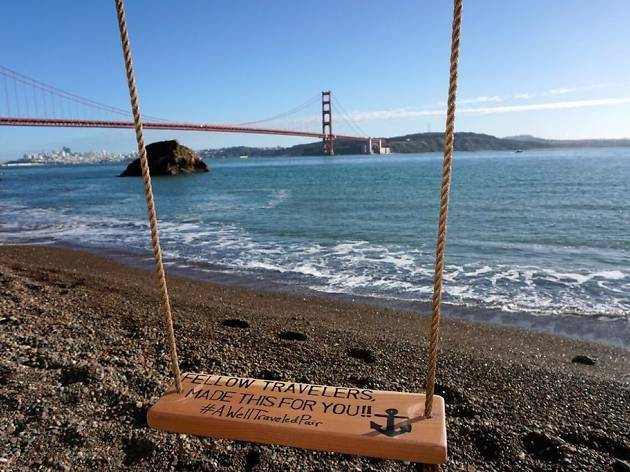 Situated less than 10 miles northwest of the Golden Gate, these four secluded campsites are famous for their waterfront views overlooking the city. 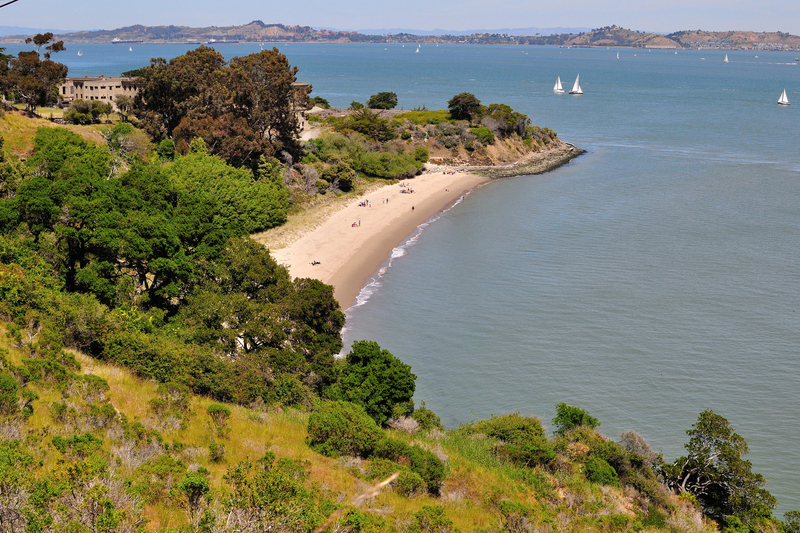 Shaded by Monterey cypress groves, the grounds are walking distance to a rocky beach, as well as a daytime picnic area. 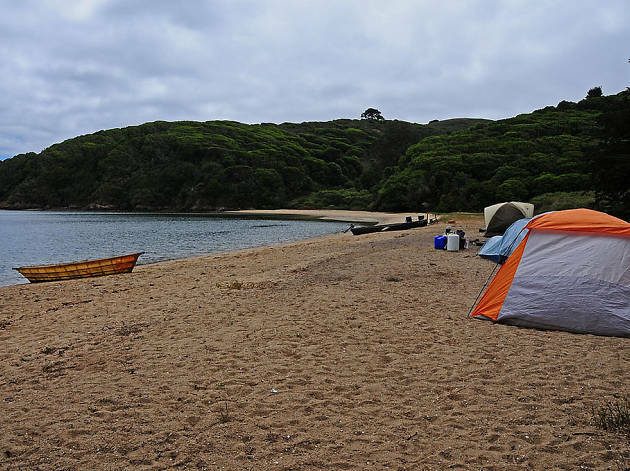 Point Reyes National Seashore has four hike-in campgrounds: Coast, Wildcat, Glen, and Sky. Though the Coast camp is easiest to reach, Wildcat is beloved for its privacy (expect to lose cell service quickly) and sprawling ocean views. Though you’ll have to hike in 5.6 miles to reach the camp from the Palomarin Trailhead, it’s well worth the effort. Along the way, keep an eye out for elephant seals, dolphins, sea lions, and whales in the waves below. Late to book? Head to Mt. Tam, where Pantoll’s 16 sites are first-come, first-served. (If it’s full, try Bootjack camp nearby.) Pantoll’s Doug fir-shaded campsites are situated less than 500 feet from the lot, so you can drive in or hike to them along the Matt Davis trail. Though the sites are quiet and secluded, they offer creature comforts like drinking water, restrooms, and firewood. Once you’re settled, you’re centrally located for a wide range of hikes, whether you’re in the mood for redwood groves or craggy cliffs. At dusk, veer toward the mountainside amphitheater, a spectacular spot to watch the sunset. 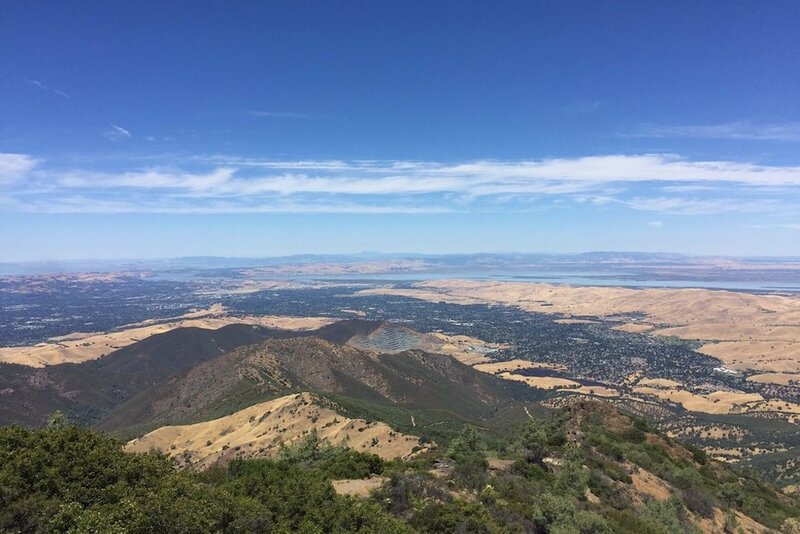 Mount Diablo State Park’s 20,000 acres contain a wide range of campsites—56 spots at Mount Diablo Group Campground and another 50 at Juniper and Live Oak Campgrounds—all of which include fire rings, picnic table, bathrooms, and drinking water. Your best bet is on the western edge of Juniper Camp, where the sites are farther apart and it’s easy to glimpse the wide-open, starry sky. (Free showers don’t hurt, either.) 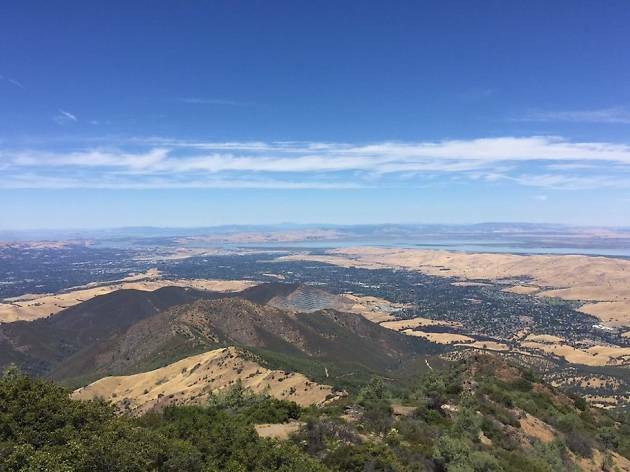 While some of the sites require a bit of a climb, the payoff is sweeping the views of the East Bay and Diablo Valley. 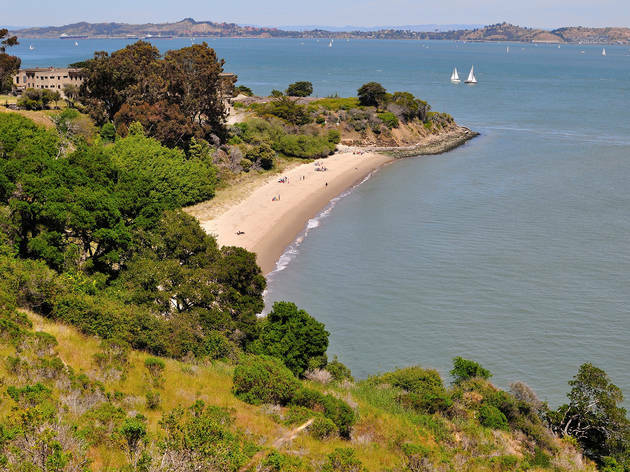 This picturesque island is just a short ferry ride from Pier 41 or Tiburon. The 11 sites are divvied up into four camps: Ridge, East Bay, Sunrise, and Kayak. Be prepared to lug your gear up to 2.5 miles, depending on your pick. The Sunrise sites are more protected, closest to the Mount Livermore Summit, and offer 180-degree views of the East Bay; the Ridge sites are windier and provide panoramas of the city and the Golden Gate Bridge. Most are comfortably spacious—the lone kayak-accessible site accommodates up to 20—and include running water, pit toilets, charcoal barbecues, food lockers, and tables. 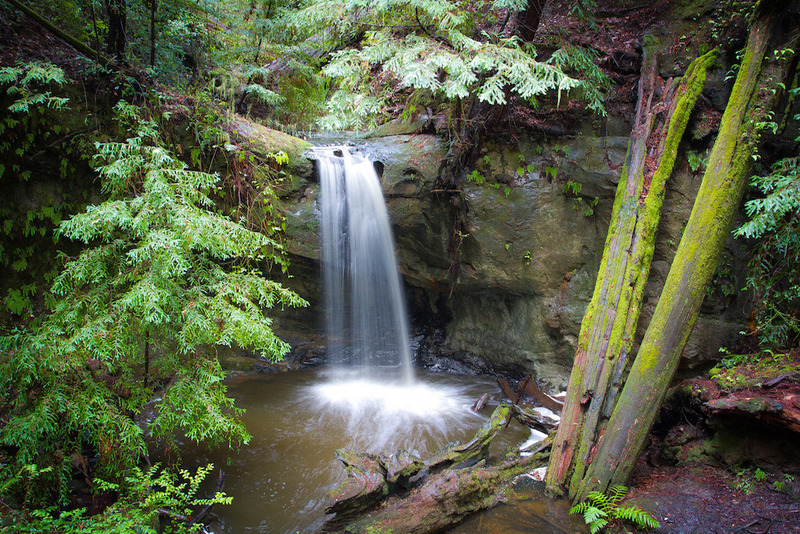 Nature lovers come to Big Basin to commune with the redwoods, which tower over the campgrounds. 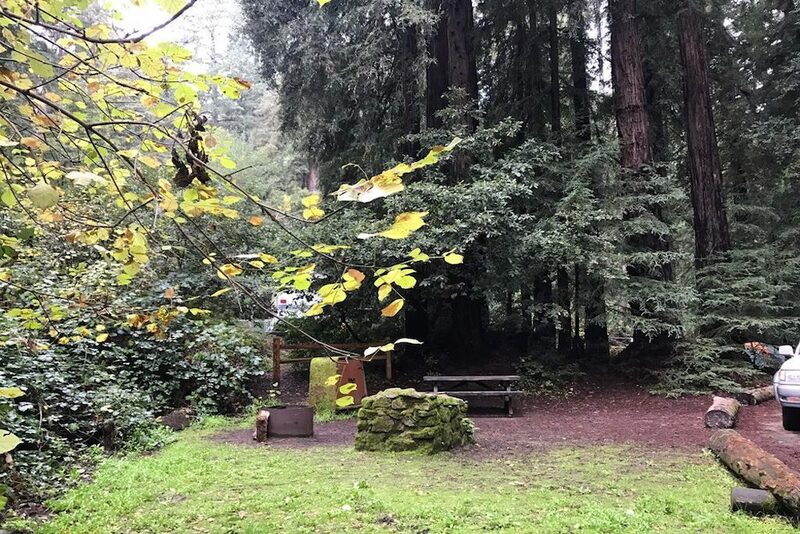 The Sempervirens camp is most convenient, as it’s close to the highway and you can pull you car right up to your site, whereas the Huckleberry and Wastahi camps feel slightly more secluded. All sites include picnic tables and fire rings. 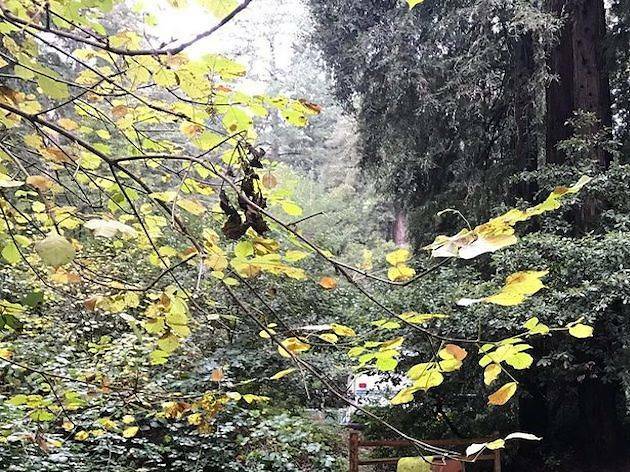 Since it’s nestled among the scenic Santa Cruz mountains, the park is a boon for hikers and cyclists. 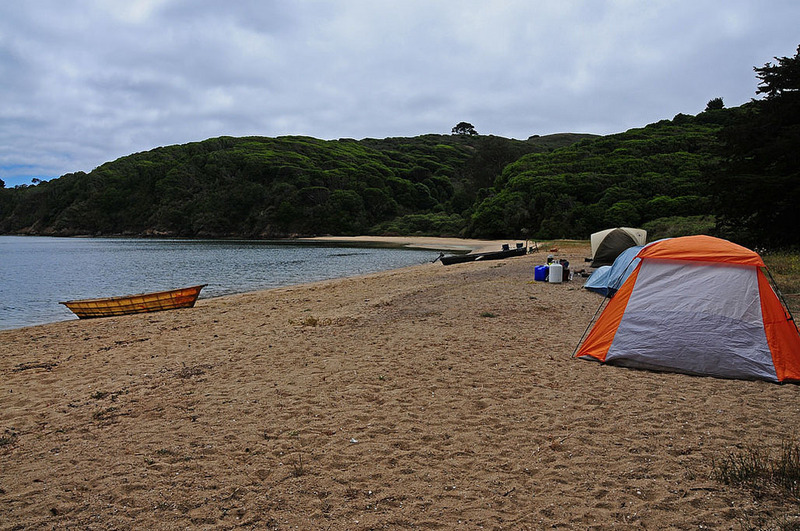 At Tomales Bay, you can kayak in to one of 20 dispersed campsites dotting the western shore. White Gulch is the best of the bunch, situated in a sandy cove and well protected from the wind. 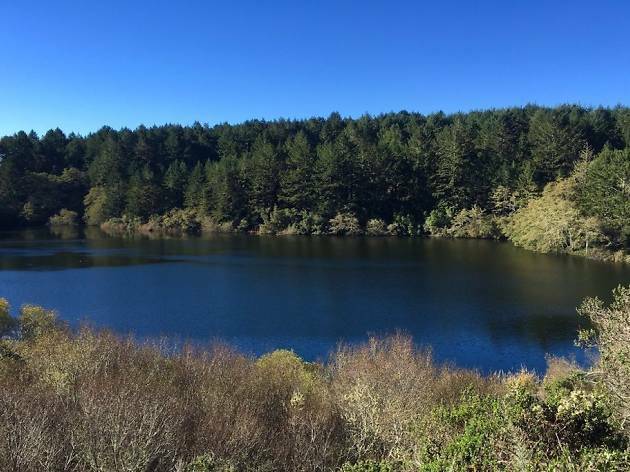 Tomales Bay is known for its wildlife, including legions of birds, tule elk, and seals. Meanwhile, fall is the best season for a bioluminescence tour (from $95/4 hours). On moonless nights, the water takes on a glowing, otherworldly hue as you paddle through their phosphorescent trails. 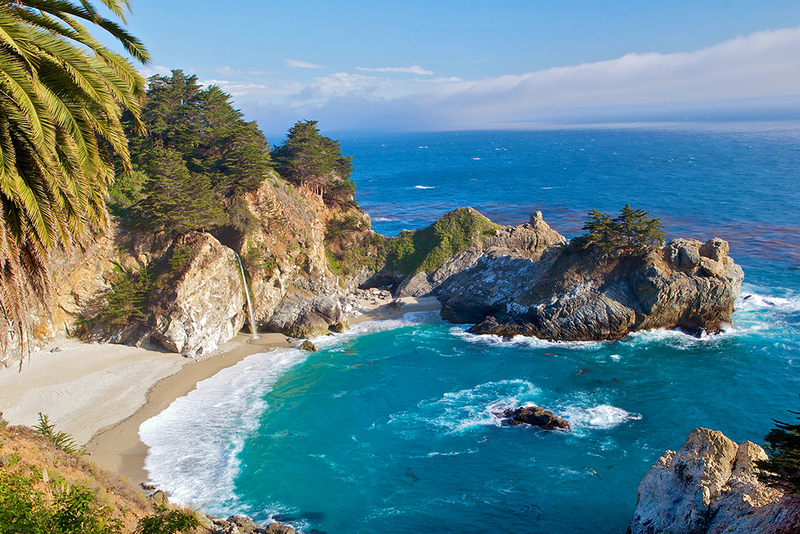 Julia Pfeiffer Burns State Park may be the farthest spot from SF on this list, but it’s also the most highly coveted. You’ll find no rowdy groups or loud music here: There are just two hike-in sites, making it one of the most intimate and unspoiled camping destinations around. 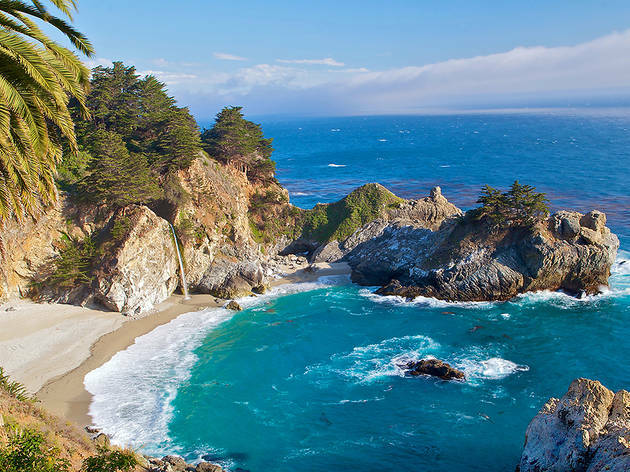 Perched on a coastal ridge overlooking the Pacific and shaded by Monterey cypress trees, both sites tend to book up six months in advance, so plan accordingly. The Park also includes beautiful hiking trails. One of the oldest campgrounds in the country, Camp Taylor is a perennial favorite with a steady stream of regulars. It’s undeniably lovely—nestled among redwood groves and rolling grassland—but still relatively easy to snag a site. You can pitch a tent at one of the 59 campsites (most with easy access by car), or book one of the rustic cabins. 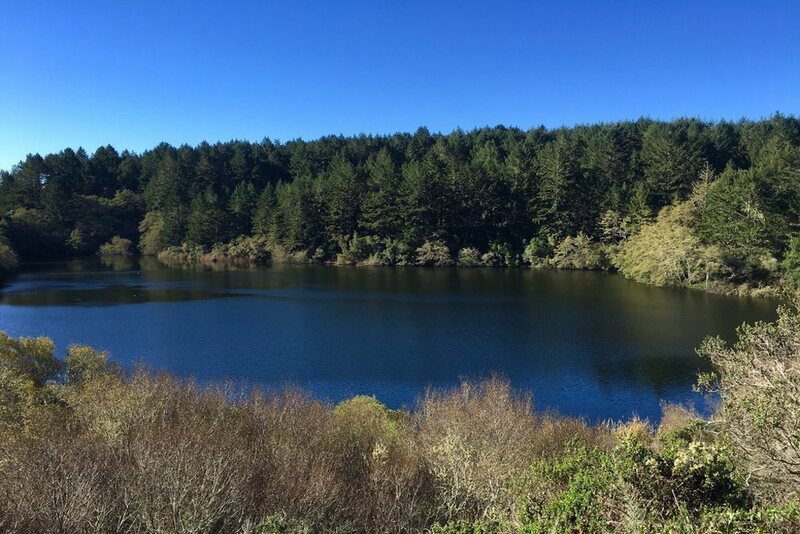 The grounds include hiking and biking trails populated by wildflowers and wild turkeys, picnic areas, and the burbling Lagunitas Creek. For a slightly less rugged excursion, book one of Mount Tam’s 10 cabins, each over 75 years old. The small wooden cottages are perched on a pretty bluff overlooking the Pacific. Though dated, they’re well maintained: each includes a picnic table, benches, sleeping platforms, and an outdoor barbecue for grilling. (Water faucets and firewood are available nearby.) Hike downhill from the cabins to reach an uncrowded beach and hidden cove. Nearby, the popular Steep Ravine trail meanders along the coast.